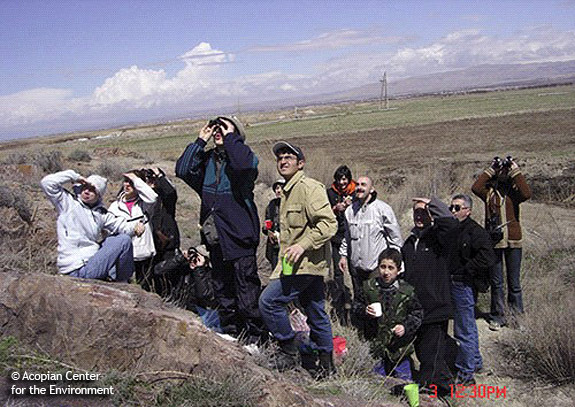 The Acopian Center's ‘Bird Identification Training Course’ (BITC) was initiated in 2004 with a group of 15 students. Since then, over 450 people have participated in this course. Classes are in three languages (Armenian, English, Russian) and conducted for local as well as foreign students. Anyone interested is welcome to attend. You do not have to be a student at AUA to attend. The classes are held in a friendly and enthusiastic atmosphere. We have had students of all ages - from 12 to 68 years old! 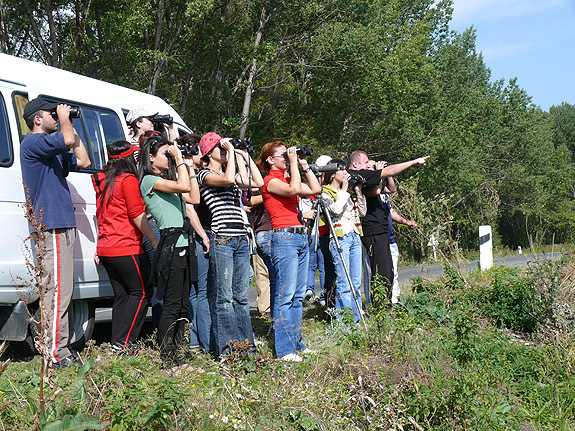 Course participants learn how to identify the different bird species in Armenia and how to observe them in nature. The course is aimed at people of all skill levels. We have a Beginner course and an Advanced course. Each consists of 30 lessons in which the students learn to identify at least 100 to 200 different bird species that occur in Armenia. The Beginner course has three field trips (to Lake Sevan, Lori region, and Aragats Mountain) and the Advanced course also has three field trips (to Armash fish-farming ponds, Noravank gorge and Dilijan forest) where birds studied in the classroom will be seen in their natural habitat. We provide binoculars and other optical equipment for observation during the field trips. Classes are held once per week for 1 hour, from September 18 to May 30. At the completion of the course, and after passing a test, each student will receive a certificate that they have completed the course. And the best students in the class will get a complimentary copy of the Armenian version of “A Field Guide to Birds of Armenia”.